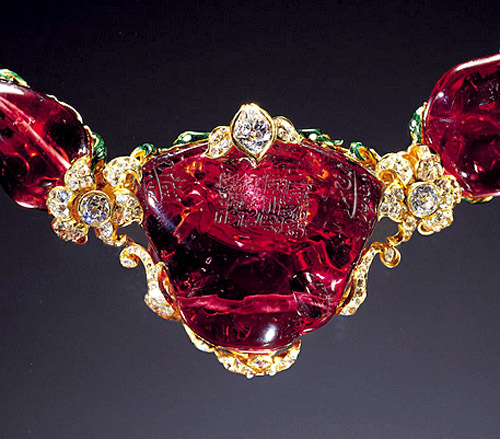 Fine-quality rubies larger than 3 carats are extremely rare, so when Gemfields auctioned a matched pair weighing a total of 45-carats, the jewelry world took notice. 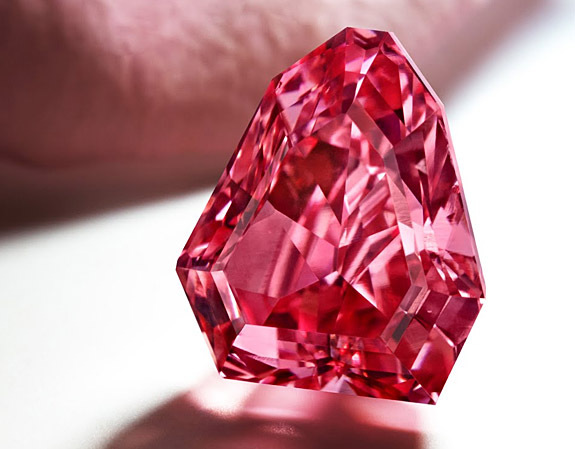 Sourced earlier this year at its Montepuez mine in Mozambique on the southeast coast of Africa, the vivid red rough rubies of exceptional clarity were scooped up for an undisclosed sum by Veerasak Gems of Thailand. It will now be up to Trirotanan's artisans to transform the rough stones into finished jewelry (likely earrings) via a meticulous cutting and polishing process. 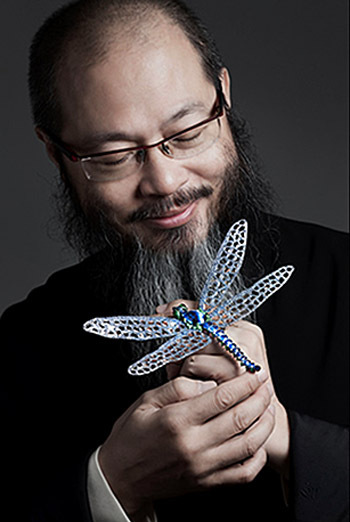 “Looking at them makes me tremble,” said Mrs. Trirotanan, describing the "Eyes of the Dragon, “and we are certain that our experience will unveil their full potential for all the world to behold." 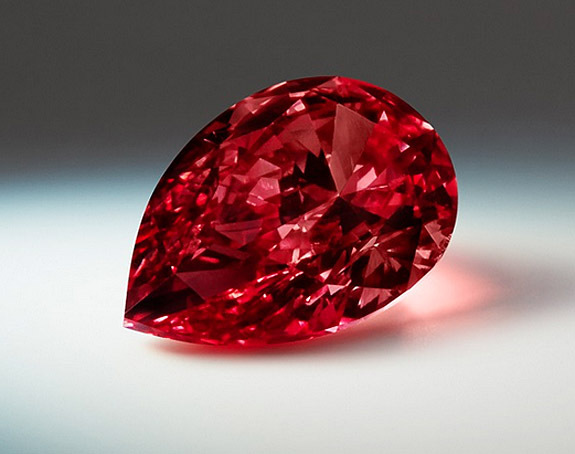 The spectacular matched rubies highlighted Gemfields’ recent Singapore auction, where more than $29 million in high-quality rough gems changed hands. 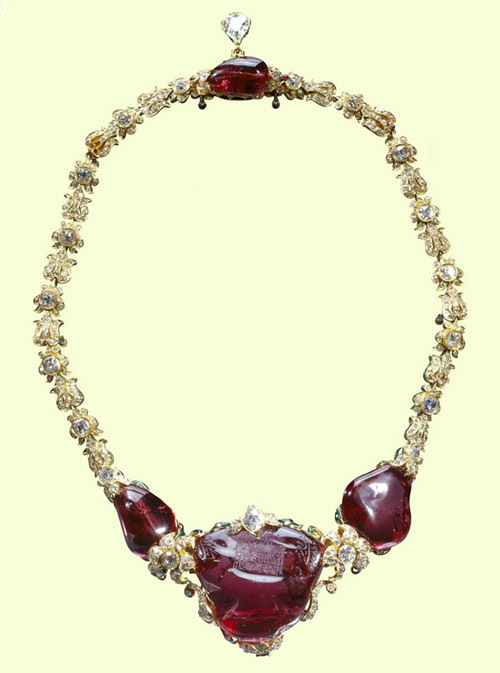 The four auctions held since June 2014 featuring Montepuez-mined rubies have generated $122.2 million in total revenue. Gemfields’ next high-profile auction will highlight fine emeralds from its Kagam mine in Zambia and is scheduled to take place in August. 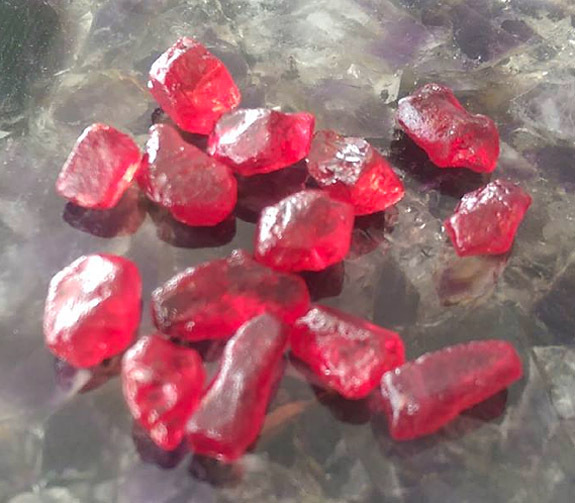 In recognition of the successful sale of the “Eyes of the Dragon,” Montepuez Ruby Mining Limitada, the local partner of Gemfields, will be providing support for the Niassa Lion Project in the Niassa National Reserve in northern Mozambique. 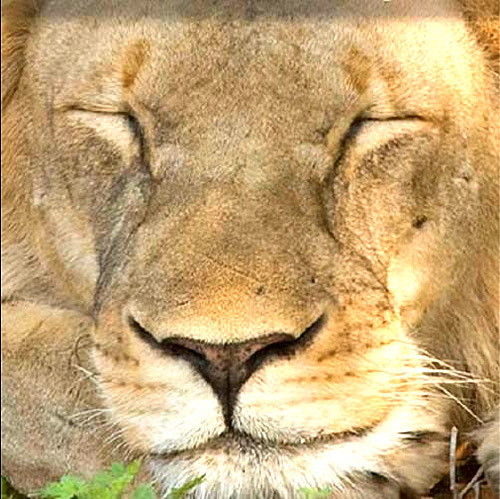 Larger than Switzerland, this area is home to the African lion, wild dog and elephant. It is also the home to more than 35,000 people across 40 villages, and encounters between villagers and wildlife pose a serious threat to both. The Niassa Lion Project is dedicated to hiring and training Niassa residents as team members, mentoring young Mozambican conservationists and providing advanced schooling through scholarships. When Carli Lloyd, Abby Wambach, Christie Rampone and the rest of the U.S. women’s soccer team raised the World Cup over their heads in triumph Sunday, they were holding a trophy made of pure sterling silver clad in 23-karat yellow and white gold. 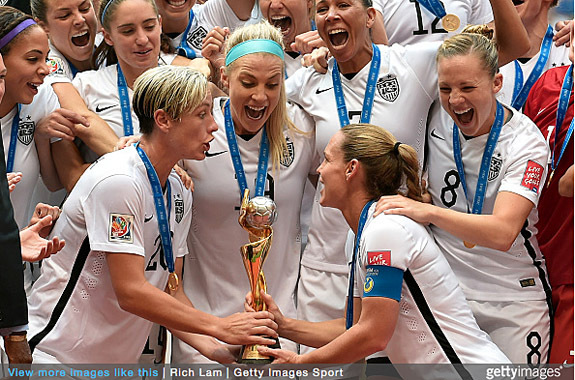 The FIFA Women’s World Cup™ trophy weighs 3.96 lbs. and is valued by FIFA, the international governing body of soccer, at about $30,000. The sterling silver value is about $1,000. The value and composition of the women's trophy is a far cry from the one designed for the men’s tournament, which weighs more than twice as much at 10.8 lbs., is fabricated in 18-karat gold and has a precious metal value of $150,000. But, before we scream “Unfair!” please note that the women get to keep their trophy, while the men only get to take home a replica. 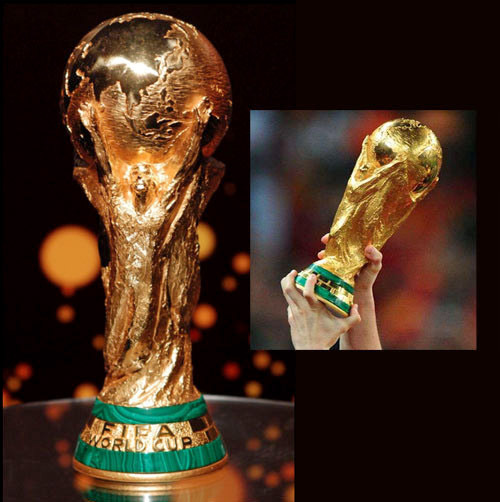 The men’s FIFA World Cup™ trophy, of which there is only one original, always stays in the possession of FIFA. Originally hand-made for the 1999 tournament by William Sawaya of the Milanese company Sawaya & Moroni, the women’s trophy takes the form of a spiral band, which wraps around a soccer ball at the top. The spiral is designed in yellow gold and the soccer ball is plated in white gold. The trophy is nearly 18 inches tall (about 4 inches taller than the men’s trophy) and has a marble base. 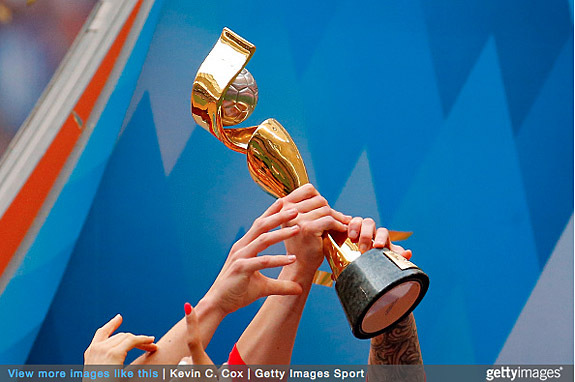 A new trophy is produced for every FIFA Women’s World Cup™ tournament. One replica remains on display at the home of FIFA in Zurich, Switzerland. The men’s trophy is about 14.5 inches tall and depicts two human figures holding up the earth. It is fabricated from 10.8 pounds of 18-karat gold and features two rows of green malachite at the base. The trophy is likely hollow. FIFA had previously claimed that the metal part of the trophy was solid gold, but Martyn Poliakoff of Nottingham University pointed out that, based on its dimensions, a solid version would weigh an unwieldy 154 pounds. The U.S. women's dominating 5-2 victory over Japan in the final was highlighted by a hat trick in the first 16 minutes of the match by Lloyd. The three goals by a single player were the fastest ever recorded in Women's World Cup history, and the first hat trick ever in a final. 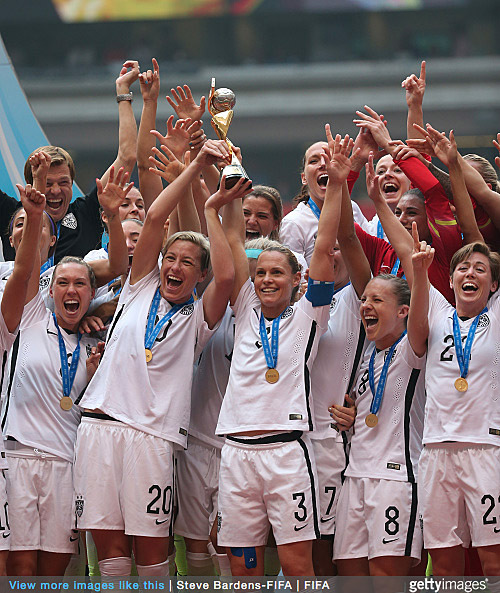 This is the third World Cup championship for the American women, with the other two titles taking place in 1991 and 1999. 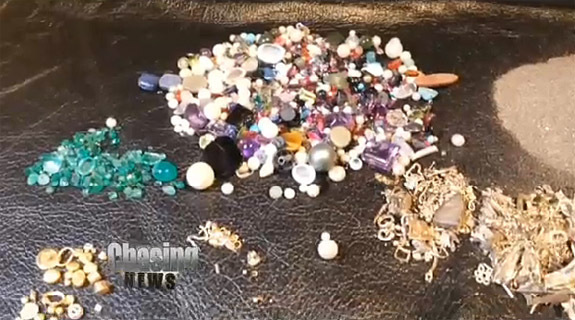 The streets of New York City are literally paved with gold and gemstones, according to urban miner Raffi Stepanian. 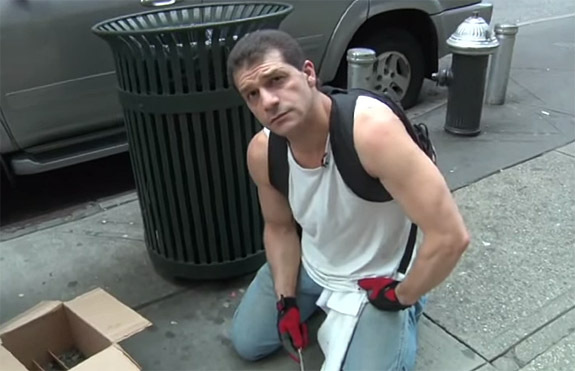 For the past four years, the Queens native has been earning $100 to $930 per week scraping the gunky expansion joints that separate the cement sidewalks of the world famous Diamond District. 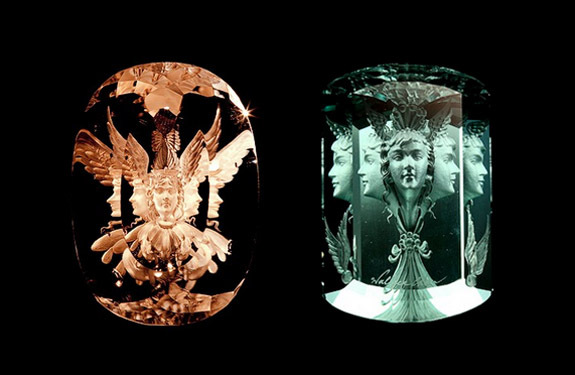 The same joints that collect goop and occasionally catch a stiletto heel also provide a muddy groove into which gold, diamonds and gemstones can settle. Stepanian told My9NJ.com that gold fragments and small gems often find their way onto the streets by clinging to the clothes and shoes of diamond district workers. Armed with a bucket, magnets, tweezers and scraping tools, Stepanian typically heads out on his mining mission after 7:30 p.m., when most of the local businesses have closed for the day. Then he scans the sidewalk for anything reflective. Once he finds a promising spot, he gets down on his knees to perform the tedious task of inspecting and collecting the material from the expansion joints that divide the concrete sidewalk. While demonstrating his technique to a reporter from My9NJ.com, Stepanian discovered something valuable right away. "See over here?" Stepanian asked the reporter. "That's solder right there. Nice piece of gold solder." A freelance diamond setter who has been in the jewelry business for more than 26 years, Stepanian got the mining bug four years ago when he happened upon a piece of gold on the sidewalk in front of a 47th Street jewelry exchange. He now believes that the 60-year build-up of precious materials on the sidewalks of the Diamond District is far more concentrated than that of any diamond or gold mine. 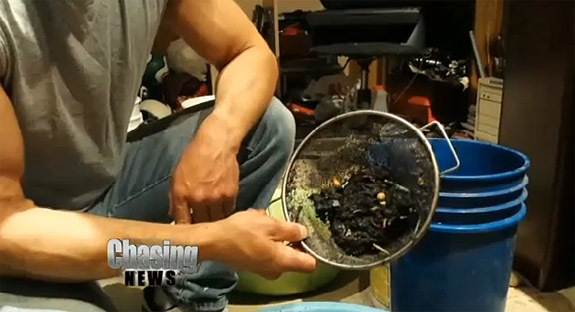 He told The Daily Telegraph, “The soil in the sidewalks of 47th Street is saturated with the stuff. You might get $30 per piece, but it all adds up." Once he’s collected enough material, Stepanian lugs his muck-filled bucket back to his home in Queens, where he separates and screens the material using water, dish soap, heat and a strainer. How long will Stepanian continue to crawl the streets of the Diamond District looking for riches? Images: Screen captures via My9NJ, YouTube. Fans of the Big Bang Theory have to wait 73 days until they can find out if Sheldon, indeed, loves Amy more than anyone ever knew, or if the awkward Romeo — who pulled out what seemed to be an engagement ring in the final moments of Season 8 — is destined for an extended stay at the Heartbreak Hotel. 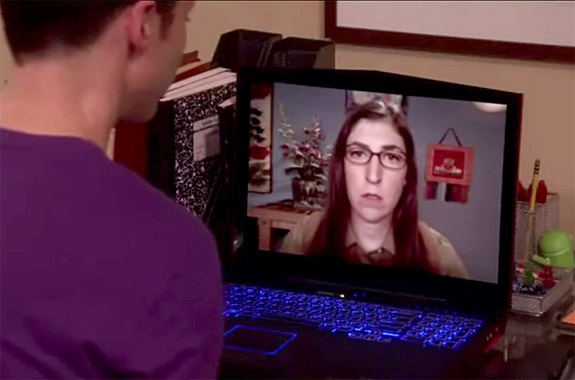 In the May 7 season finale of CBS’ top-rated comedy, we witnessed Amy (Mayim Bialik) breaking up with Sheldon (Jim Parsons) via Skype because he wouldn’t commit to their relationship after five years of dating. 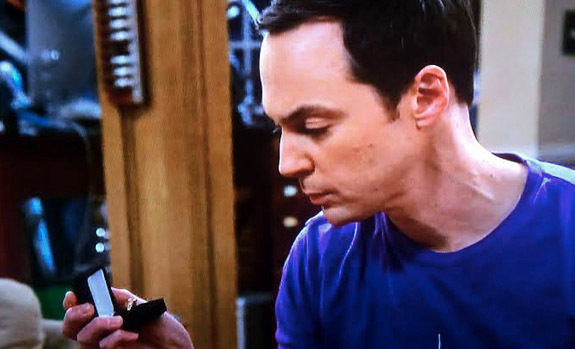 At that moment, Sheldon shocks the viewing audience by pulling a black engagement ring box from the top drawer of his desk. Despite the obvious hint that Sheldon had fully intended to propose to Amy, actress Bialik told the Los Angeles Times that fans of the show (14 million weekly) shouldn’t jump to any conclusions. "We don't know what he was planning to do with it,” Bialik said. “We don't know if it was something he got from his mother. We don't know what the process was by which he acquired that and what he would think to do with it." Devoted followers of the Big Bang Theory are well aware that the writers like to keep their audiences guessing. "People want to jump to all sorts of conclusions because it's super exciting to do so and they love these characters and they know them,” she continued. “But the neat thing about our show... and Jim and my character's relationship is that anything can happen. And I think the finale was proof of that." Will Sheldon fight to get Amy back? 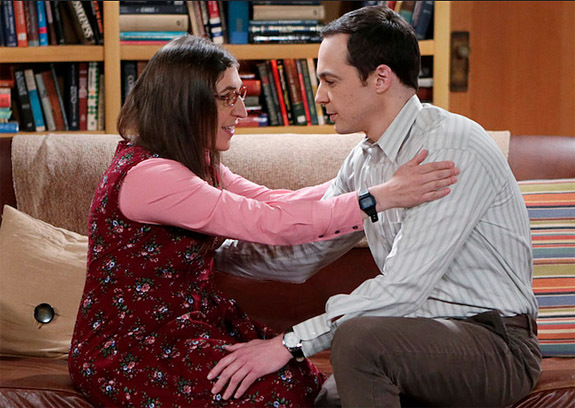 Does the ring really represent Sheldon’s ultimate commitment to Amy and their future together? We’ll all know for sure when Big Bang Theory returns for Season 9 on Monday, September 21. Welcome to Music Friday when we bring you great songs with jewelry, gemstones or precious metals in the lyrics or title. Today we feature the incomparable Wilson sisters — also known as Heart — performing “There’s the Girl,” a song they first released in 1987 and continue to sing in concert today. Co-writers Nancy Wilson and Holly Knight use diamond metaphors to describe a guy who can’t get over an old flame even though she’s a “complete disaster.” He’s a polished diamond (a pretty smooth operator), but the prospect of reconnecting with the ex-girlfriend has his heart beating faster. The emotional overload is making him feel kinda rough (as in "rough diamond"). Today’s featured tune is special to Heart fans because the lead vocals are performed by guitarist Nancy Wilson, not Ann, whose towering voice has been a hallmark of the band for more than 30 years. 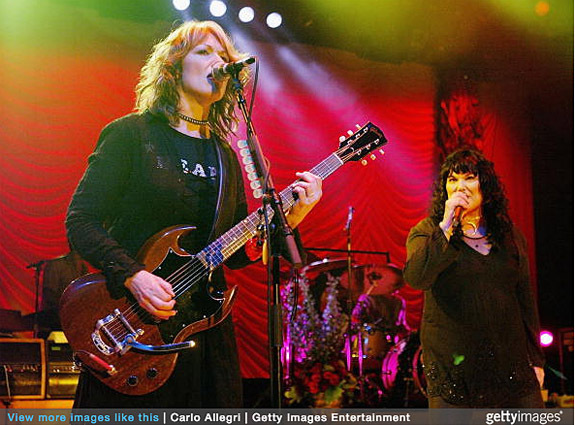 In fact, many fans never realized Ann sang the lead vocals for this song until their saw the music video or were lucky enough to see Heart perform “There’s a Girl” in concert. "There's the Girl" is the third track from Heart's ninth studio album, Bad Animals. It climbed as high as #12 on the U.S. Billboard Hot 100 chart — one of 20 Top-40 singles credited to the band. Over their illustrious careers, the Wilson sisters have sold more than 35 million records worldwide, have scored seven Top-10 albums and earned four Grammy nominations. Heart was inducted into the Rock and Roll Hall of Fame in 2013. The sisters revealed in a interview that they were both inspired to form a rock band when they saw the Beatles perform on The Ed Sullivan Show in 1964. "The lightning bolt came out of the heavens and struck Ann and me the first time we saw the Beatles,” said Nancy Wilson. “There'd been so much anticipation and hype about the Beatles that it was a huge event, like the lunar landing. That was the moment Ann and I heard the call to become rock musicians." 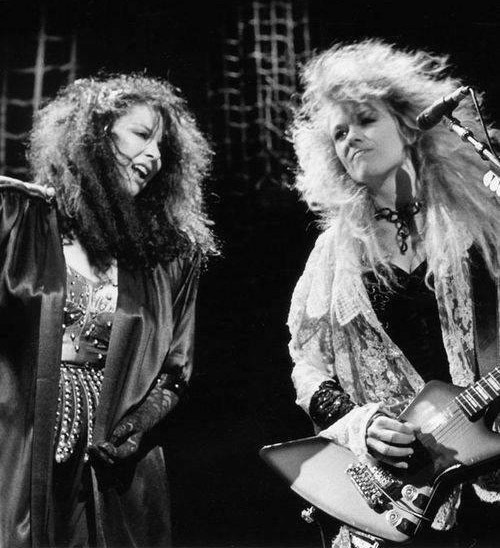 Actively performing since 1974, Heart continues to tour today, with the 65-year-old Ann and 61-year-old Nancy still playing to full houses at large and small venues from coast to coast. Heart is in the midst of a long tour that includes a July 25 concert at Citi Field in New York City and an engagement at the Hollywood Bowl on August 22. Written by Holly Knight and Nancy Wilson. Performed by Heart. 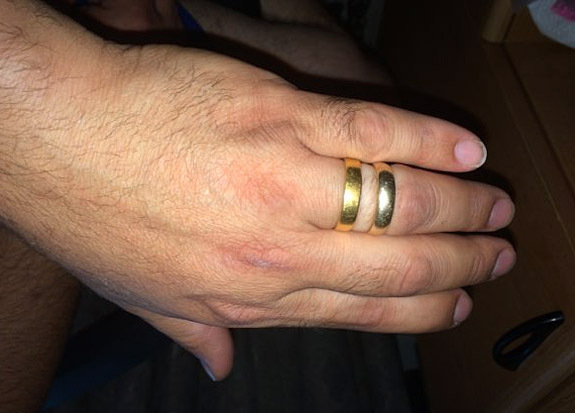 While planting Lucky Bamboo in the backyard of his New Jersey home, Maan Moughawech was spectacularly reunited with a cherished 22-karat wedding band he lost 15 years ago. Many cultures believe that Lucky Bamboo (Dracaena sanderiana) attracts health, prosperity and good fortune. 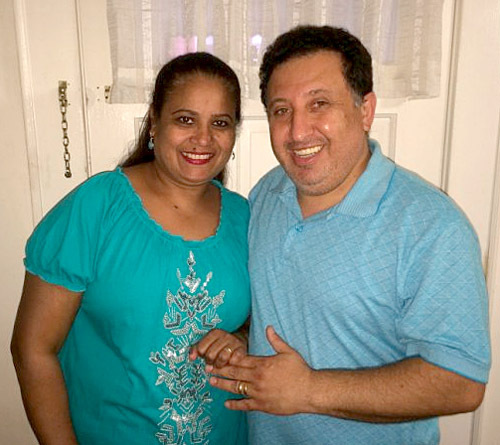 Back in 2000, Moughawech and his wife, Savitree, had been renovating their newly purchased home in Bloomfield when Maan asked his wife to hold his wedding band while he did some painting. 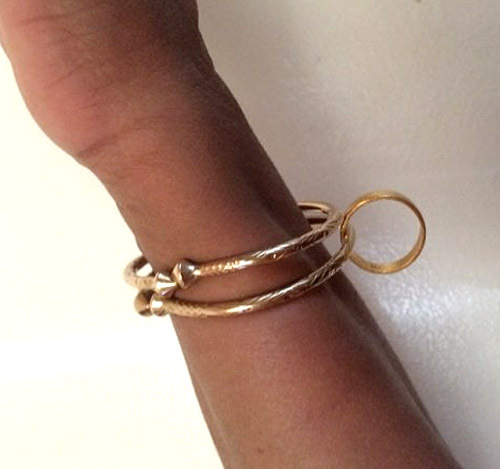 She hooked it onto her bangle bracelet for safekeeping. The panicked couple retraced Savitree’s steps, which included a search of their backyard, but couldn’t find the brilliant 22-karat gold ring that they had purchased for their wedding ceremony only two years earlier. Accepting their loss, the couple bought a replacement band — one of a similar style and width, but in 14-karat gold instead of 22-karat. A few days ago, the still-happy couple decided it was time to plant Lucky Bamboo in the corner of their yard. As Maan started digging the hole, he recognized something yellow and shiny in the soil. 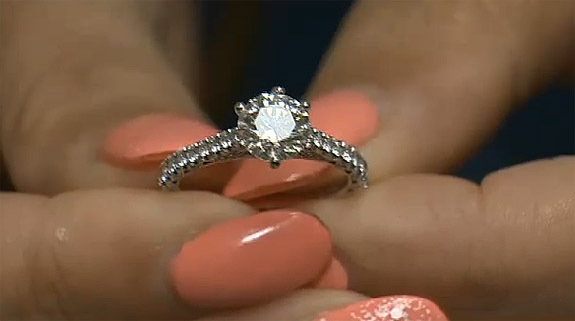 “I kneeled down to inspect it, and I instantly knew that it was my lost ring!” he told ABC News. 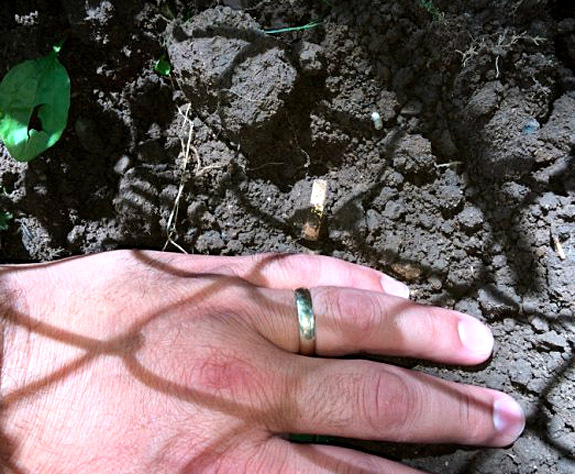 Probably suspecting that friends and family would have a hard time believing the ring would appear exactly where he placed his shovel, he took out his cell phone and snapped a bunch of pictures of the ring still embedded in the soil. One shot shows Maan wearing the old and new rings on the same finger. The 22-karat version has a deeper, warmer gold hue than the 14-karat version. And what became of the Lucky Bamboo? Moughawech completed the hole and planted their good luck charm, which “definitely has a place” in their backyard now, he said. 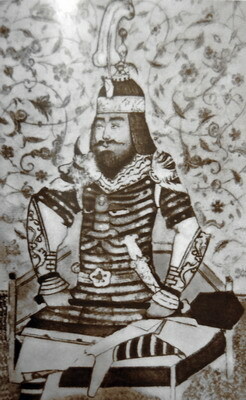 Images courtesy of Maan Moughawech. Actress Mila Kunis stars in a two-minute film directed by art photographer Jeff Burton showcasing the glamorous, alluring and mysterious appeal of Mozambican rubies. The Neptune Ascending actress, who is also a global brand ambassador for mining company Gemfields, wears deep-red lipstick to complement exquisite ruby jewelry in the soft-focus, dreamlike sequences. Filmed along the canyons above Malibu, Calif., the director employs extreme closeups and lacy veils of ambient light to give the short-format piece an ethereal, otherworldly vibe. 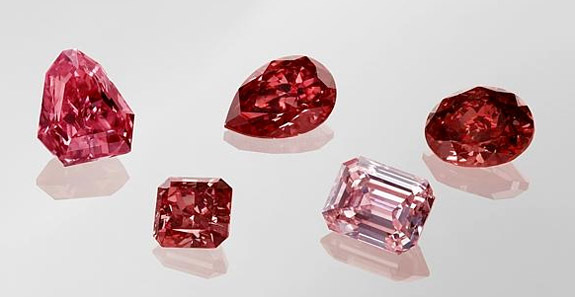 Already world famous for its high-quality Zambia-sourced emeralds, the London-based Gemfields produced the short film to shine the spotlight on its newly acquired Montepuez ruby mine in Mozambique. 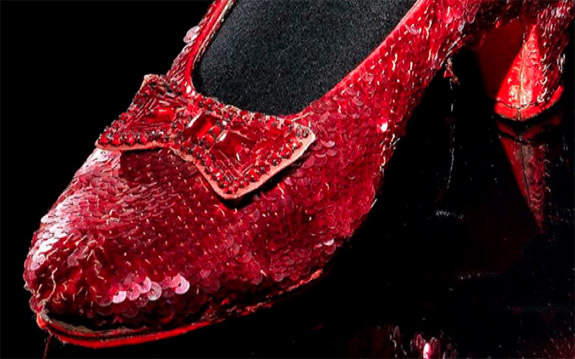 The film release is also perfectly timed to align with July's official birthstone — the ruby. 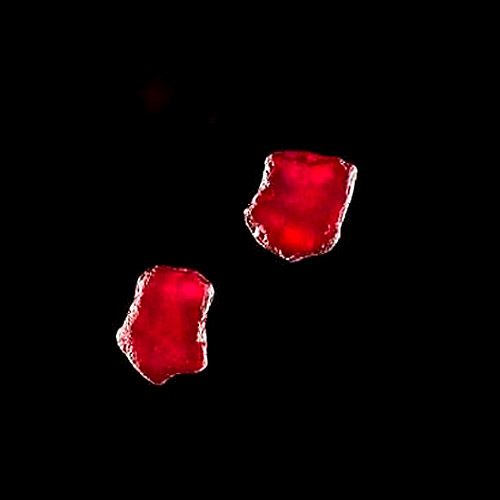 Only last week, we reported on Gemfields auctioning a matched pair of vivid red rubies from its Montepuez mine that weighed a total of 45 carats. 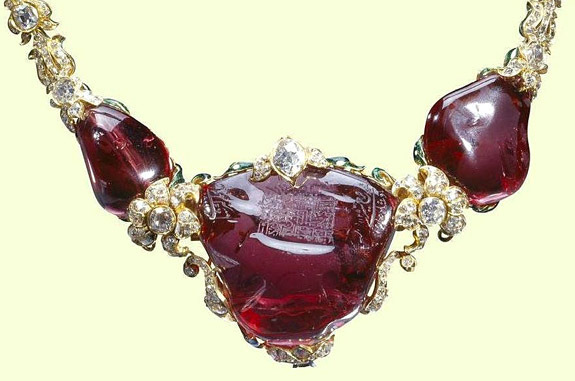 The find was extraordinary because high-clarity rubies of exquisite color are rarely found in sizes larger than 3 carats. 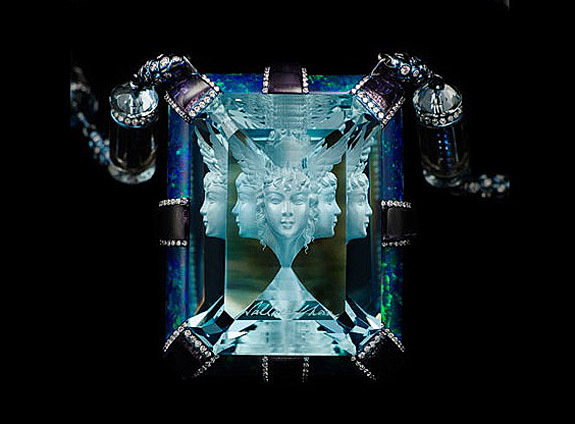 Kunis has been Gemfields' brand ambassador since 2013. 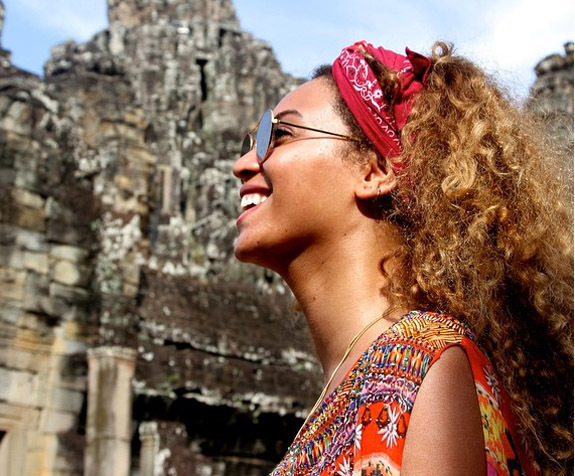 To prepare her for this role, she was encouraged to tour the company's emerald mining operations in Zambia. 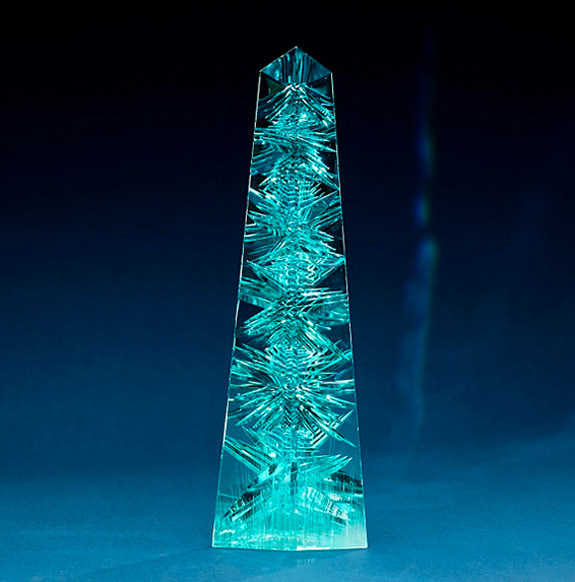 The actress was most fascinated by the fact that every single emerald has its own fingerprint. Gemfields' new attention on its Montepuez mine and the related film project must have been welcomed news for the mother of one who is married to Ashton Kutcher. You see, rubies are her favorite gemstone. "I guess my favorite colored stone is maybe a ruby, oddly enough, because my grandmother’s engagement ring has a ruby in it," she told WWD. "By the way, she’s 95 and they don’t really have engagement rings in Russia, but her wedding band had a ruby in it and I kind of associated that with love." Burton's short film features Mozambican rubies set into beautiful contemporary designs by Faberge, Georg Jensen, Spinelli Kilcollin, Gyan by Gem Plaza and Miiori. Images: Screen captures via YouTube; Rubies courtesy of Gemfields. 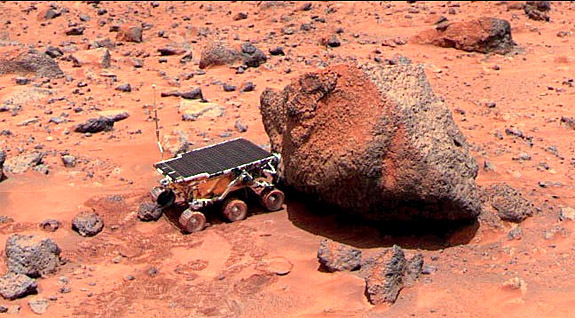 A tiny fragment of fire opal found in a Martian meteorite could point to evidence of life on the Red Planet. 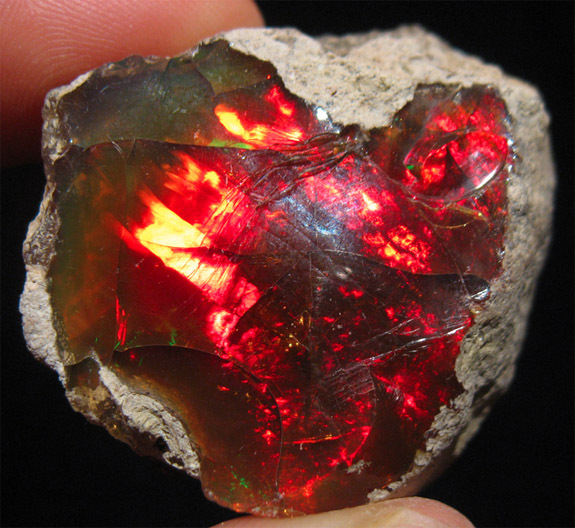 Researchers at the University of Glasgow discovered traces of fire opal in a 1.7 gram (1/20 ounce) sample taken from the famous Nakhla meteorite, which crashed in Egypt in 1911 and has been housed in the Natural History Museum in London. The fire opal discovery affirms information gained during NASA's imaging and exploration of the Martian surface. NASA detected deposits of opal and other minerals, such as olivine (the non-precious version of peridot). The presence of opal is significant because the gemstone famous for its brilliant orange, yellow and red display of color is also known to form in and around hot springs. "Microbial life thrives in these conditions, and opal can trap and preserve these microbes for millions of years," said Professor Martin Lee of the University of Glasgow's School of Geographical and Earth Sciences. "If Martian microbes existed, it’s possible they too may be preserved in opal deposits on the surface of Mars." Armed with this information, future exploration of Mars and the search for evidence of life on that planet could focus heavily on the study of opal. These findings were revealed in an article in the scientific journal Meteoritics and Planetary Science. 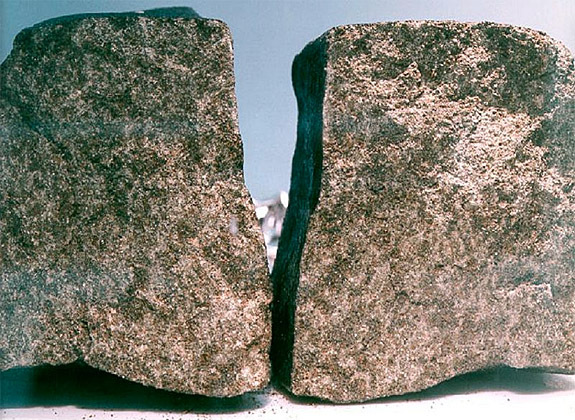 The Nakhla meteorite, which is named for the town in which it landed, crashed to Earth on June 28, 1911. About 22 pounds of meteorite debris (about 40 pieces) were scattered over a three-mile area. The largest piece weighed about four pounds. Some fragments were embedded three feet into the ground. 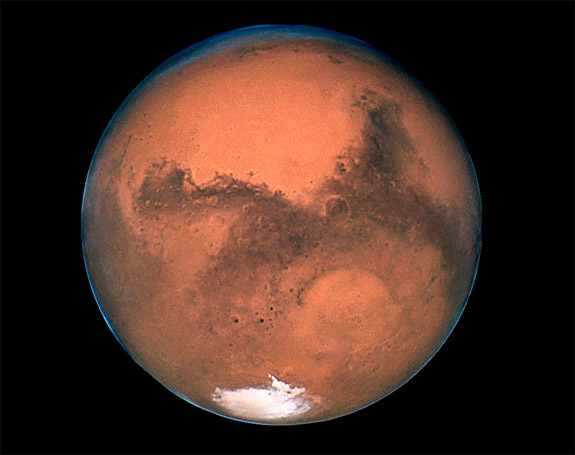 Scientists believe the meteorite was blasted from the face of Mars by a powerful impact of unknown origin. Witnesses in Egypt reported seeing the meteorite approaching from the northwest along a track marked by a column of white smoke. While conventional opals are mined primarily in Australia, fire opals are found in a number of countries, including Mexico and Brazil. Fire opals get their blazing color from fine traces of iron oxide in their chemical composition. They have a hardness of between 6 and 6.5 on the Mohs scale, which means they are susceptible to scratching and require a protective setting when used in fine jewelry, especially as a ring. A space rock containing $5.4 trillion in platinum flew within 1.5 million miles of the Earth last night, sparking speculation about the future of space mining. The flyby of asteroid "2011 UW-158" was presented live via the Slooh online observatory, which used a team of telescopes in the Canary Islands to track the half-mile-wide, Rice Krispie-shaped chunk of celestial bling. Providing commentary and answering Twitter-generated questions were host Eric Edelman and Slooh astronomer Bob Berman. 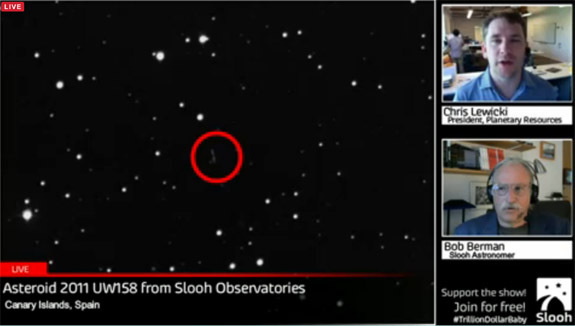 The Slooh feed provided two live shots, one with the asteroid centered in the viewing window and the second showing the asteroid moving across the viewing field. 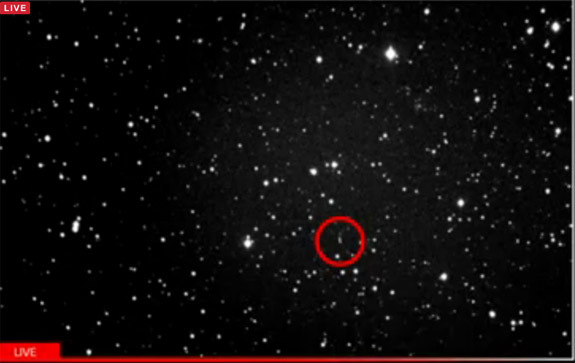 Due to its size in relation to its 1.5 million-mile distance from earth, the asteroid appears as a tiny white dot. The relatively close proximity of 2011 UW-158 — about six times farther than our Moon, but 30 times closer than our nearest planetary neighbor, Venus — prompted renewed interest in the viability of space mining. Planetary Resources, an asteroid mining venture with financial backing from Google chiefs Eric Schmidt and Larry Page, has its sights set on 2011 UW-158. 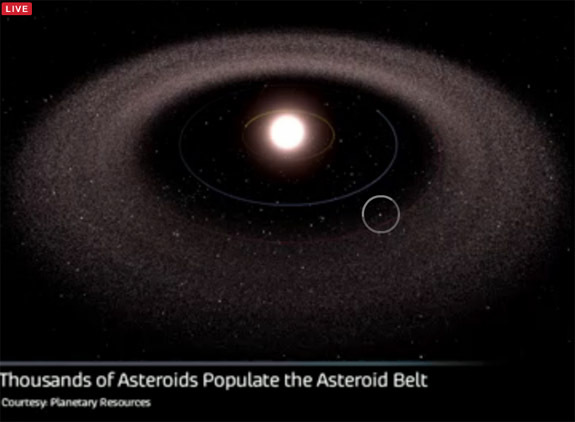 The company believes the asteroid's core contains 100 million tons of platinum worth $5.4 trillion. The company is also tracking similar asteroids in our solar system. Planetary Resources president Chris Lewicki provided realtime commentary during the live feed. Officials from NASA believe that asteroids can be captured and brought into orbit around our Moon. Once captured, space miners would be able to collect valuable resources. NASA is confident this futuristic mining could be a reality by the year 2025. NASA says the elements present in asteroids — including rocket fuel and water — could be harvested by future generations in the quest to explore and colonize our solar system. A spectrometer, measuring the intensity of light reflected from 2011 UW158, was used to determine the platinum composition of the asteroid. After last night's show, 2011 UW158 is not scheduled for another flyby until 2108. 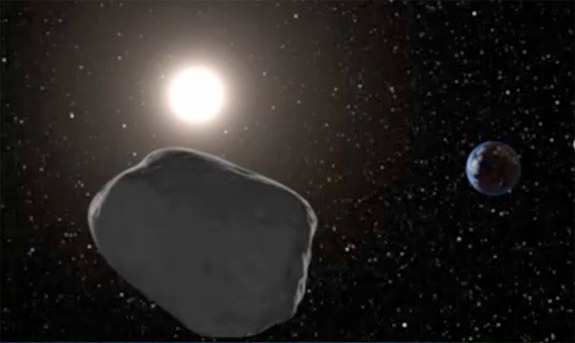 Images: Screen captures of Slooh video feed; Planetary Resources. 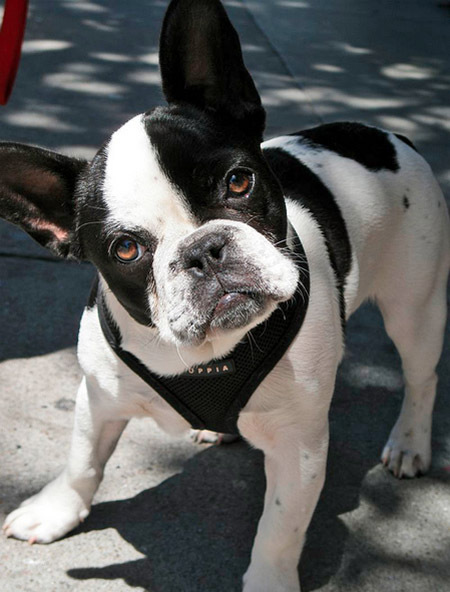 Mischievous French Bulldog, Tux, is always getting into trouble. So, when Miami resident Jessica Farah heard a crunching metallic sound coming from the dog's mouth last Wednesday she casually assumed he was chewing on his brother's collar, something he does all the time. However, later in the day, she noticed that her loose-fitting engagement ring was not on her finger and she started to fear the worst. "I look at my hand, and I think, 'Oh no,'" she told a reporter from television station WSVN. French Bulldogs lack a discriminating palate and are notorious for eating what should not be eaten. The breed's wide mouth and voracious appetite make it a consuming machine, often ingesting items as bizarre as cat litter and bite-sized plastic children's toys. They also seem to like jewelry. Farah traced her steps and tore through the house, but the ring was nowhere to be found. “[Then] it dawned on me. Well, I guess it wasn’t the brother’s collar. It was my ring," she said. Early the next morning, Farah rushed Tux to the local animal clinic, where a simple X-ray confirmed her suspicions. The ring was clearly visible deep within the belly of the beast. The bad news was that the dog had swallowed the ring. The good news was that the digestive process had not yet moved the ring into the dog's intestine. There are generally three options when an animal swallows a valuable object, such as a ring. Do nothing and hope that it passes naturally. Extract the ring surgically. Or, use a flexible endoscope to enter the dog's stomach through the mouth and try to grab the ring using the endoscope's pincer. 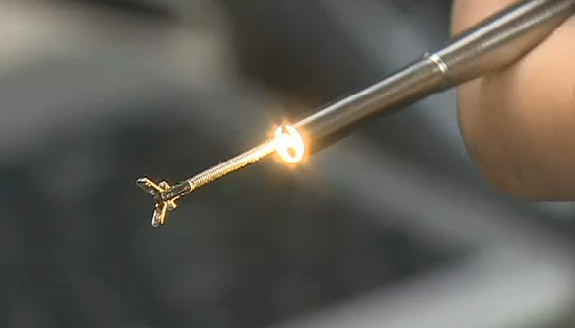 The minimally invasive endoscope has a light source and camera so the doctor can see inside a patient's body. Doctors at Miami Veterinary Specialists decided to go with the endoscope option, and by the end of the procedure the ring was back on Farah's finger and Tux was perfectly fine. "I'm never taking it off," she said of her cherished engagement ring. "Showering, gym, everything. It's never coming off." 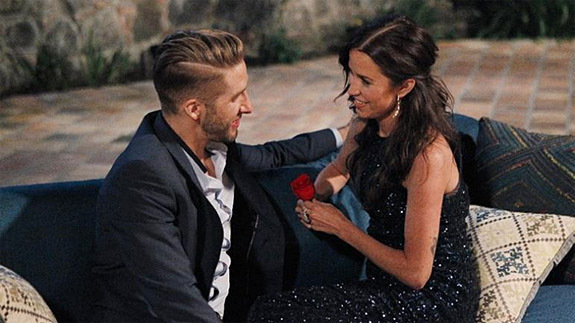 Tux actually played an important role in matching Farah with her fiancé. Farah met the love of her life when Tux went missing last year. Her now-fiancé made a great first impression when he volunteered to help find the pup. 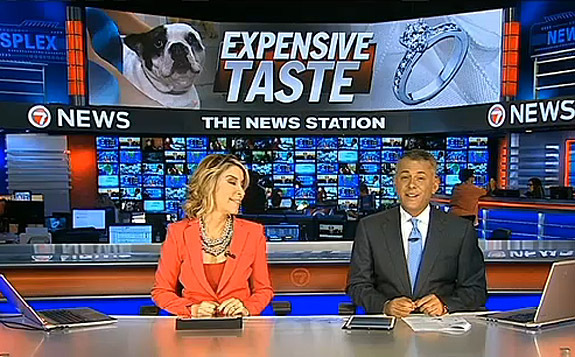 Images: Screen captures via WSVN.com; French Bulldog by tanakawho, [CC BY 2.0} via Wikimedia Commons. 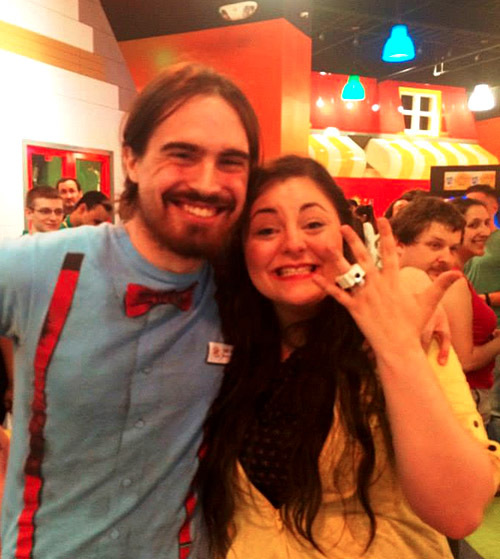 Michael Thousand, a self-proclaimed nerd and Lego enthusiast, proposed to his girlfriend at Boston's Legoland Discovery Center with an engagement ring made entirely from the wildly popular interlocking plastic building blocks. The lovely, but equally nerdish, Allison Donlon screamed "Yes" after her beau got down on one knee and delivered his proposal in front of a crowd of 250 Lego fans. 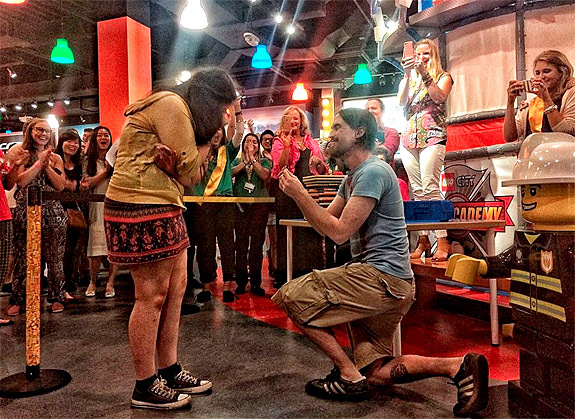 The surprise proposal took place a week ago during Legoland's Adult Night, when — on the third Wednesday of each month — fully grown Lego loyalists get to take over the Lego paradise with like-minded friends. At the end of the night, master model builder Ian Coffee announced that Thousand and Donlon had won the big mystery prize. What Donlon didn't know was that her clever boyfriend had rigged the results, and the prize was actually a "diamond" engagement ring made completely of Legos. Donlon showed off her slightly larger-than-scale plastic ring as if she were a Hollywood celebrity amidst the flashbulbs of the paparazzi. The proud bride-to-be posted the proposal photo to Facebook with the caption, "I SAID YES! — with Mike Thousand at Legoland Discovery Center Boston." The line included an emoji of a diamond ring. Before making any judgments about the appropriateness of proposing marriage with a plastic engagement ring — no matter how cute and sentimental — please note that Thousand did follow up the Lego ring with a real diamond ring. The couple from Chelmsford, Mass., which is about 30 miles northwest of Boston, had planned to move to Michigan by the end of July due to Thousand's new job opportunity. He wanted to demonstrate his love and commitment before they headed west. 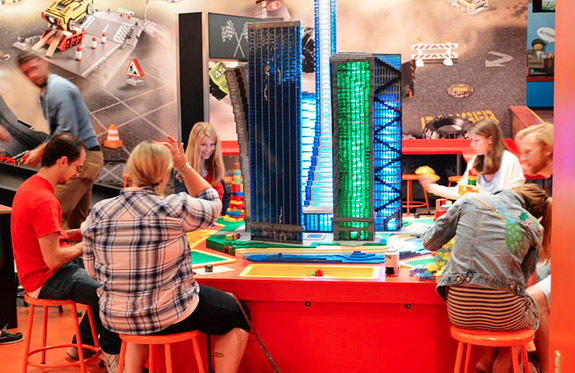 Legoland Discovery Center Boston gave the couple a shout-out on its Facebook page: "To top it all off, the night ended with a proposal!! We gave him a Lego ring and he gave her a diamond one! Congrats to the newly engaged couple and thanks to everyone who made it yet another fantastic Adult Night!" 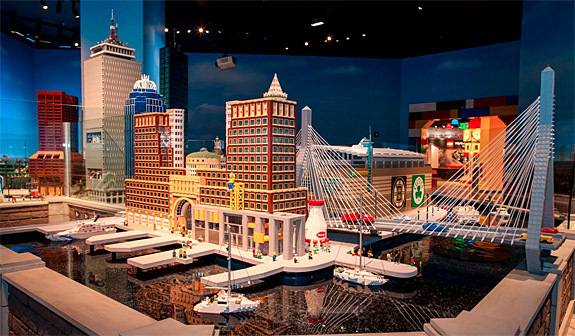 A favorite exhibit at the Discovery Center is this city scene, which recreates 20 of Boston's most famous landmarks using Lego bricks. Couples living in the states of Montana, Nevada and Washington spend the most on their engagement rings while their counterparts in South Dakota, Arkansas and Nebraska spend the least, according to figures just released by Ritani. The high-profile designer of custom engagement rings reveals in a neat infographic the wide disparity in purchasing habits. Segmented by the states in which the couples live, the findings certainly caught us by surprise. According to Ritani, the blingiest brides-to-be reside in Montana ($9,523), Nevada ($9,478) and Washington ($9,173). On the opposite end of the spectrum are South Dakota ($1,251), Arkansas ($3,176) and Nebraska ($3,835), where couples seem to be more frugal. 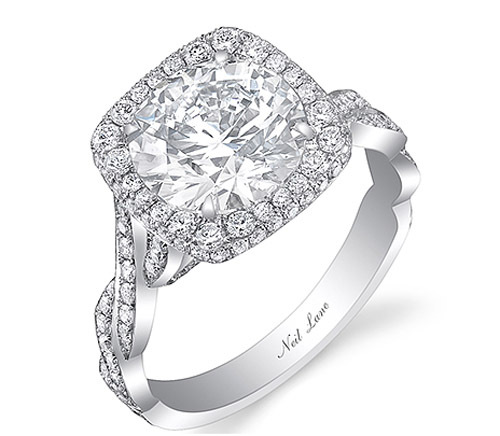 Ritani's state-by-state figures seem to align with the national stats reported by The Knot, which pegged the average engagement ring expenditure at $5,855. The Knot's report, which was based on a survey of 16,000 newly married brides, also revealed that overall wedding budgets are on the rise, with the average tab in 2014 coming in at $31,213, up from $29,858 in 2013. By far, the biggest part of the wedding budget was dedicated to the venue, with the reception hall costs tallying $14,007. The engagement ring ranked as the bridal couple’s second-highest expense. In Ritani's infographic, the dark purple color represents the states in the second-tier range of $7,500-to-$8,999. They include Minnesota ($8,853), Indiana ($8,763), North Dakota ($8,616), Massachusetts ($8,574), New Hampshire ($8,556), New Jersey ($8,427), Alabama ($8,062), California ($7,991), New York ($7,789) and Illinois ($7,753). 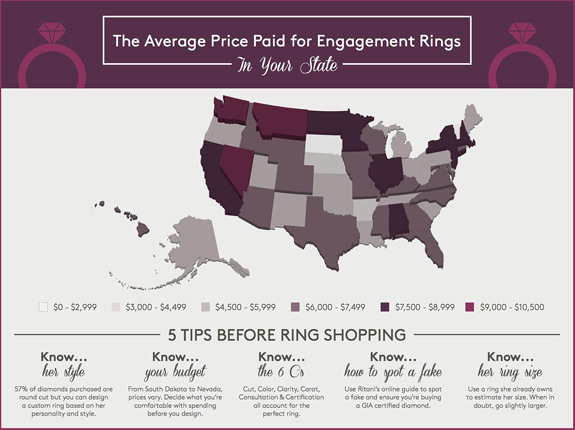 The infographic also includes Ritani's "5 Tips Before Ring Shopping." Under "Know Her Style," Ritani notes that although 57% of diamonds purchased are round, couples can still step out of the box and design a custom ring based on her personality and style. Regarding "Know Your Budget," Ritani emphasizes the importance of couples knowing what they're comfortable spending before entering the design process. "Know the 6 Cs" points to couples being knowledgeable about a diamond's cut, color, clarity and carat weight, while also taking advantage of expert consultation and certification. In the section "Know How to Spot a Fake," Ritani recommends that couples review its online guide and to ensure that they are buying a GIA-certified diamond. 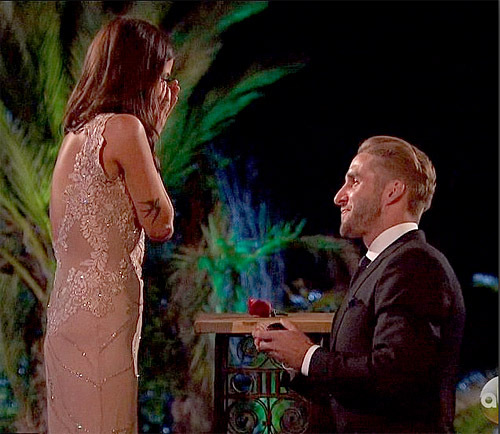 When making a surprise proposal, the guy will want to "Know Her Ring Size." 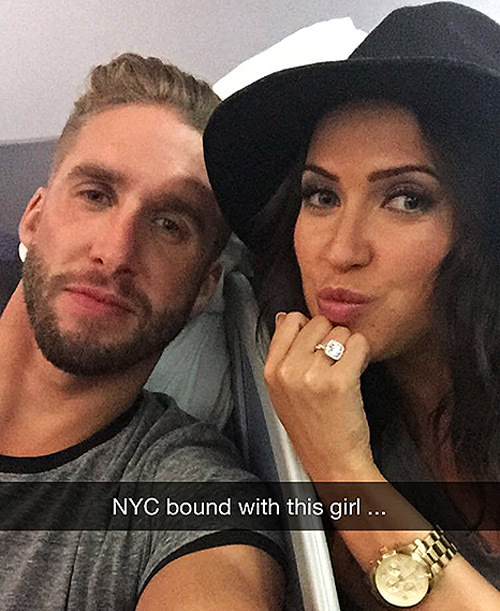 Ritani recommends using a a ring she already owns to estimate her size and, when in doubt, go slightly larger. Welcome to Music Friday when we bring nostalgic tunes with jewelry, gemstones or precious metals in the title or lyrics. Today, Dion helps us celebrate July's official birthstone with his 1963 hit, "Ruby Baby." 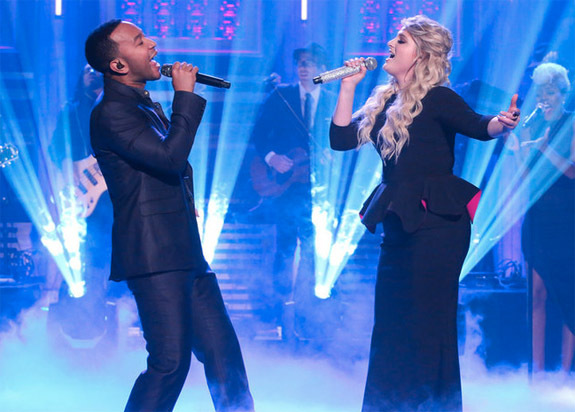 In this song of unrequited love, Dion croons about a girl who may be out of reach. He sings, "I got a girl and Ruby is her name / She don't love me, but I love her just the same / Ruby Baby how I want you / Like a ghost I'm gonna haunt you / Ruby Baby when will you be mine?" 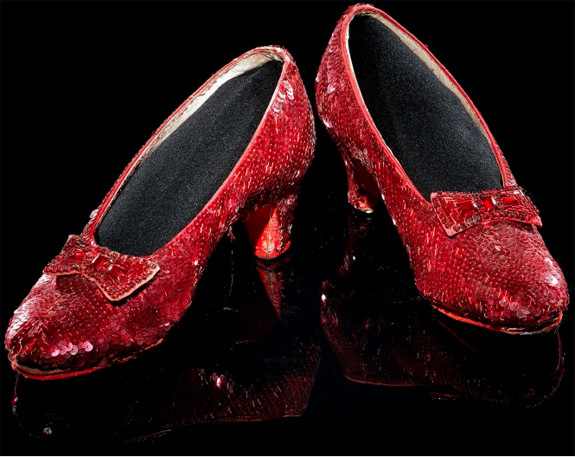 Written by the dynamic hit-generating duo of Jerry Leiber and Mike Stoller, "Ruby Baby" ranks a close second to the Rolling Stones' "Ruby Tuesday" on our list of the most famous "ruby" songs ever. "Ruby Baby" was originally recorded in 1956 by The Drifters, who watched it rise to #10 on the R&B charts. By when Dion released his version in 1963 it zoomed to #2 on the broad-based U.S. Billboard Hot 100 chart and remained in the Top 40 for 11 weeks. The song brought Dion worldwide fame. 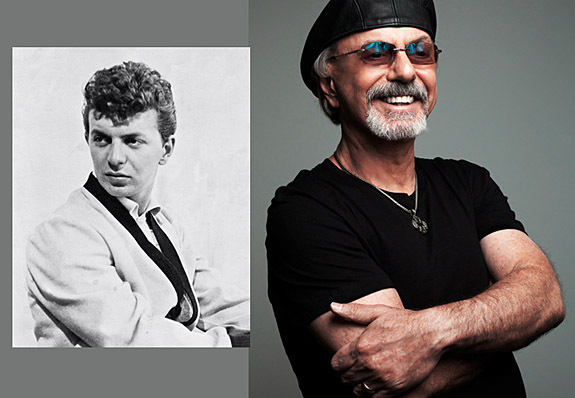 Dion DiMucci, who celebrated his 76th birthday last week and continues to tour, launched his career as the frontman for Dion and the Belmonts in the late 1950s. The group's name was derived from the fact that the four singers all lived on or near Belmont Avenue in the Bronx, N.Y.
Dion would go on to have a successful solo career that has transformed him from a handsome teen idol to a widely respected grandfather of Rock & Roll. He was inducted into the Rock & Roll Hall of Fame in 1989. Written by Jerry Leiber and Mike Stoller. Performed by Dion. Ruby Baby when will you be mine? Rolene Strauss, the South African beauty who earned the Miss World 2014 crown in December, added some new bling to her bounty when she accepted a diamond engagement ring from her longtime beau D'Niel Strauss on Friday. The fourth-year medical student — who oddly shares the surname of her fiancé — proudly showed off her engagement ring with a selfie on Instagram. The photo instantly sparked international media attention and 6,579 likes. The oval diamond is set in a delicate diamond pavé band crafted in yellow gold. We're estimating that the white center diamond weighs 1 to 1.25 carats. Rolene was among 122 contestants who competed for the coveted title this year in an extravaganza that was seen by a worldwide television audience of more than 1 billion. The 23-year-old TV personality and model is currently traveling the world as the reigning Miss World and will reportedly marry her fiancé in 2016 once she has completed her pageant duties. D'Niel Strauss is a fellow South African and the founder of Orientis Venture Capital. The couple has been together for three years. The Miss World organization congratulated the couple with a post on the official Miss World web site. "On behalf of all of us at the Miss World office, many congratulations and we wish you both all the happiness in the future," wrote Miss World Chairman Julia Morley. "With love and best wishes from all of us at the Miss World Office." 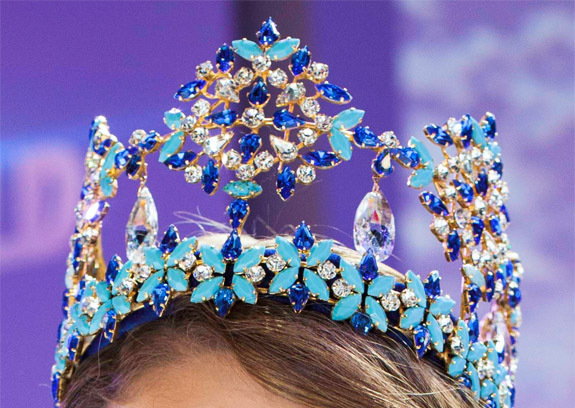 The Byzantine-style Miss World crown is an eye-catching combination of blue and white gemstones that evokes the sense of royalty. Unfortunately, the Miss World pageant has published no information on the value of the crown, the colored gemstones used in the design or the type of metal in which they're set. We might assume that the light blue stones are turquoise, the dark blue stones are sapphires (or a lower-cost simulant) and the white stones are likely cubic zirconia or crystals. The setting seems to be yellow gold. "I don't know how to thank everyone for their kind messages and words of congratulations after announcing my engagement to the most wonderful person I know!" Rolene noted in a recent Facebook post. "It is an honor and privilege for me to share this joyful time with each and every one of you." Credits: MissWorld.com; Instagram/Rolene Strauss; Getty Images. A former soldier whose military ring was stolen in 2007 was recently reunited with his cherished keepsake — thanks to the power of Good Samaritans, Facebook and 401,000 "shares." What’s more, the ring – which was badly damaged after being buried in the ground for years – was completely refurbished by the manufacturer at no charge to the serviceman. 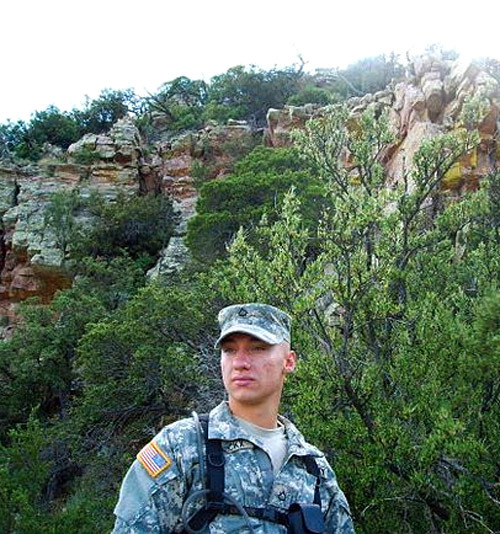 Patrick J. Dierickx of Kalispell, Mont., had received his ring after completing basic training at Fort Jackson, S.C., but less than a year later the ring was stolen in Marshall, Minn. Eight years would go by before farmer Bob Farris would dig up the ring near the foundation of an old granary near Watertown, S.D., one state over and nearly 80 miles from where it was last seen. Bob asked his granddaughter, Rachel Farris, to use Facebook to try to get the message out that a military ring with the name "Patrick J. Dierickx" had been recovered. Farris took on the assignment and posted a message with some photos of the beaten-up ring. "OK Facebook world, I need some help," she wrote. 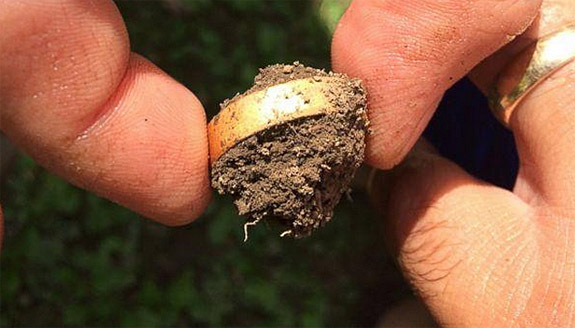 "My grandpa found a United States Army service ring buried in the dirt at his farm in South Dakota. The name on the ring is Patrick J Dierickx. 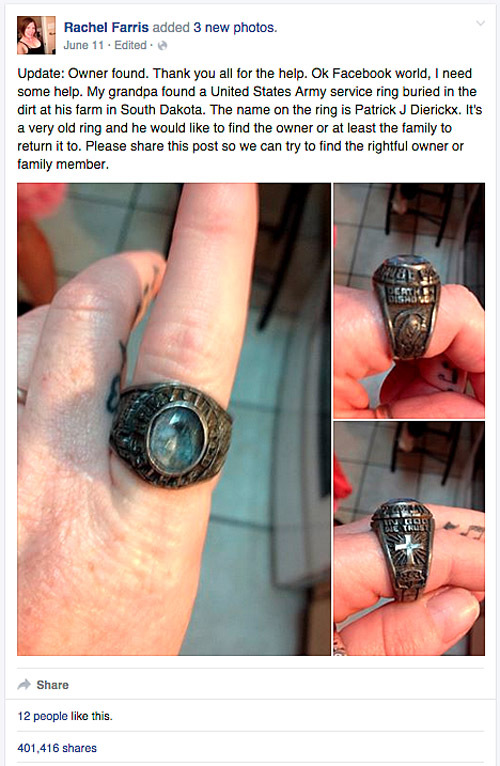 It's a very old ring and he would like to find the owner or at least the family to return it to. Please share this post so we can try to find the rightful owner or family member." Her plea struck a cord with Facebook users all over the country. The original post was made on June 11. By June 19, it had been shared more than 401,000 times, resulting in a connection with the original owner. "I never dreamed that I would see the ring again," said Dierickx. "The years went by, and while I thought about it from time to time, I knew I just had to let it go. I can't thank Bob Farris enough. A keen eye, a bit of luck, and a kind heart can go a long way. 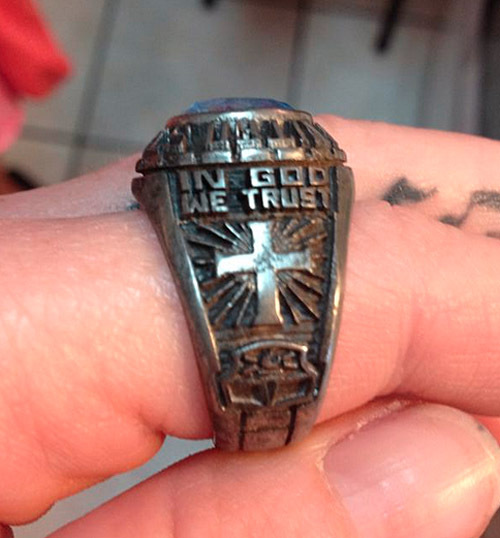 Like the inscription on the ring says, 'In God We Trust.'" Once reunited with his ring, Dierickx visited local jeweler Murphy McMahon to see if the ring, which had been buried for years, could be repaired and refurbished. McMahon sent the ring to the original manufacturer, Austin, Texas-based Balfour, and within a short time the keepsake was resurrected. 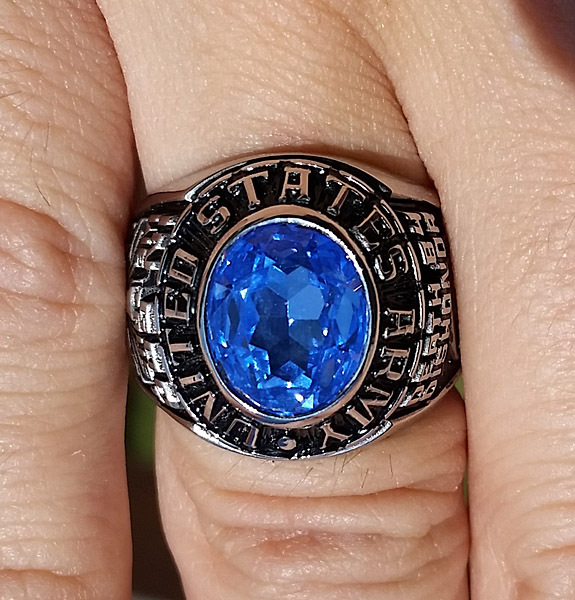 The ring, which features a blue center stone as well as military and spiritual slogans and symbols, was returned to Dierickx looking as good as new — and at no charge. Dierickx turned to Facebook to thank all the people who helped him reconnect with his ring. He wrote, "Thanks for the help everyone! I originally got the ring in 2006, at Fort Jackson SC, right out of basic training. A year later it was stolen. Eight years later it's found in the dirt, a state over, by a very kindhearted farmer. Please share so people know this incredible story." Credit: Facebook/Rachel Farris; Facebook/Patrick Dierickx; Patrick Dierickx. Welcome to Music Friday when we bring you great songs with jewelry, gemstones or precious metals in the title or lyrics. Today we feature Justin Bieber singing about pearls in the R&B remix of his 2010 release, "Up." In the 2011 collaboration featuring Chris Brown, the teen heartthrob refuses to call it quits on a troubled relationship because he believes it can only get better. He promises to take it to the sky, past the moon and to the galaxy. And, taking poetic license with his use of a double-negative, he repeats, "Baby, we can't go nowhere but up." In the key jewelry line, Bieber sings, "It's a big, big world / And I'm gonna show you all of it / I'm gonna lace you with pearls, oh / From every ocean that we're swimmin' in." Originally the 9th track on Bieber's chart-topping 2010 debut album, My World 2.0, "Up" was re-released on Valentine's Day 2011 as the 7th track of his Never Say Never - The Remixes album. That release — which featured collaborations with Brown, Jaden Smith, Usher, Rascal Flatts, Miley Cyrus, Kanye West and Raekwon — also soared to #1 on the U.S. Billboard 200 albums chart. The collaboration album was the musical counterpart to Never Say Never, Bieber's feature-film debut. The Canadian born Justin Drew Bieber made his mark on the music industry in 2007 as an adorable, fresh-faced 13 year old. Scooter Brown, the singer's current manager, had spotted him on YouTube and was impressed by his talent and potential. With the permission of Bieber's mom, Brown introduced the young man to singer-songwriter Usher, who soon became his mentor. Bieber was then signed by record executive L.A. Reid and the rest is Bieber history. The 21-year-old Bieber is the first artist to have seven songs from a debut album to chart on the U.S. Billboard Hot 100. Forbes magazine named the young artist as one of the top 10 most powerful celebrities in the world in 2011, 2012 and 2013. He has nearly 73 million "likes" on Facebook, 65.9 million followers on Twitter and 34.7 million followers on Instagram. Written by Adam Messinger, Justin Bieber and Nasri Atweh. Performed by Justin Bieber, featuring Chris Brown.